Green Moon Events is a professional event management company helping you to deliver a unique and successful experience for your employees, clients and customers. Each event is tailor-made to suit your individual needs and budget. Based in Cheltenham, United Kingdom, we work both nationally and internationally. We pride ourselves on helping to embed sustainability into the events and work with you and the venues on various initiatives and ideas. 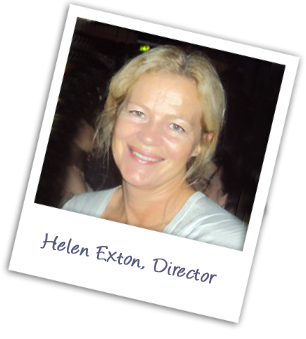 After working for more than twenty years in the events business, Helen Exton, founded the company in 2010. With considerable international experience - based in Denmark for seventeen years and latterly in the UK – the list of event clients include those in the field of youth and student travel, the pharmaceutical industry, the education sector, membership organisations, various private corporate clients, charities and not-for-profit organisations. Green Moon Events can provide an outsourced option, or can provide an extension to your own team for the provision of any element of an event. Whatever your desired result - be it to thank, reward, educate, motivate, celebrate or generate revenue - you're guaranteed a performance that is memorable for all the right reasons. Relationships are key to successful event management and we pride ourselves on creating strong relationships with our customers, suppliers and audiences. We listen to our customers and ensure that we provide the support that you need as well as looking at the best possible solutions for your unique event, whatever the budget. Ours is a partnership approach to help you achieve your communication and commercial objectives.